The Nigerian Air Force, NAF, on Sunday said its fighter jets successfully combined with ground troops to repel the latest Boko Haram attack on Bita village in Borno State. This is confirmed in a statement issued by the Director of Public Relations and Information, NAF Headquarters, Air Commodore Dele Alonge. He said a large number of insurgents were killed in the operation, carried out by Nigerian forces in the area. Mr. Alonge said the Nigerian Air Force would continue to provide combat air support to the ground force in all operations carried out by Nigerian troops in the northeast. 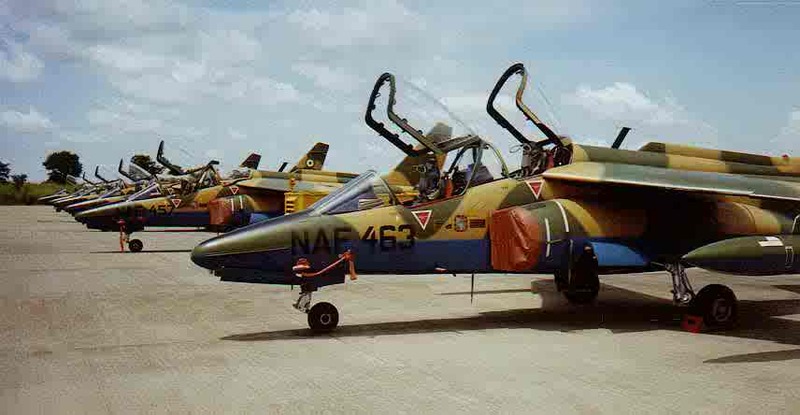 “The Nigerian Air Force using its Alpha-Jet,, provided combat air support to the ground force to attack the insurgents where they were observed to be mopping up to carry out a deadly attack on the village. “Consequently, a large number of the insurgents were killed and several others, injured,” he said. Mr. Alonge said the NAF Alpha-Jet also conducted an armed reconnaissance along Bita to Gwoza road, and through Yamtege, Hamdaga, Dure and Pulka. According to him, NAF will continue to give all necessary support to the ground force, through its intensified and persistent efforts in the ongoing fight against Boko Haram. He said the momentum would be sustained in the ongoing operations against the terrorists in the Northeast, until all portions of Nigeria’s territory were safe and free from the insurgents. The new Chief of the Air Staff, Air Vice Marshal Sadeeq Abubakar, has pledged to improve NAF fire power in the ongoing fight against Boko Haram.